The first issue for many homeowners is when there is property damage which may be covered by their homeowner’s insurance. Most standard homeowner’s policies will pay to repair damage to a house and other physical structures located on the property caused by extreme weather conditions, with the exception of flood damage, which is covered under separate insurance policies that a homeowner may obtain. One example of this may be an uprooted tree which fell on a house and caused damage to a roof. If this occurs, the homeowner should contact their insurance agent and notify them immediately of the damage. The insurance company will then send an insurance adjuster to the property. The adjuster will survey the damage and will then estimate the amount it will take to repair the property. Repairs made before the insurance company has inspected the damages and approved of the cost to repair are unlikely to be reimbursed. The homeowner may receive a check from their insurance company to pay for the repair work in question. However, where the property is mortgaged, the lender usually must be notified. The reason for this is that most loan documents contain clauses requiring the homeowner to keep the property in good repair and to involve the lender in the event of a casualty. If the homeowner receives a large sum of money from an insurance settlement, the lender has a vested interest in making sure these funds are applied to repair the property, and not spent by the homeowner for other purposes. Most lending documents therefore require that any insurance proceeds in excess of $10,000.00 be endorsed by both the homeowner and a representative of the lender. In practical terms, the check from the insurance company in excess of this amount will be issued to both the homeowner and the lending institution as co-payees. The homeowner must then obtain consent and a written endorsement on the check from their mortgage lender in order to deposit these funds, and must show that the funds are being used to repair the property which is the subject of the mortgage. A related legal issue regarding “super-storm” damage may have occurred when the property in question is in contract to be sold, but the closing did not occur prior to the storm. In the interim, damage to the property occurs from Sandy. The first question to be answered is which party is responsible for repairing the damage in question. Most contracts of sale exclude “natural deterioration” which occurs between the contract signing and the closing, meaning a purchaser may still be obligated to close. However, extreme property damage, such as fallen trees, broken sidewalks, and major damage to the house structure would have to be repaired by the seller prior to the closing. If it is not, the seller may have to provide a monetary credit, in the estimated amount to repair the damages, at closing. Of course, this situation may result in a delay of a scheduled closing, if the property damage must be repaired prior to closing. 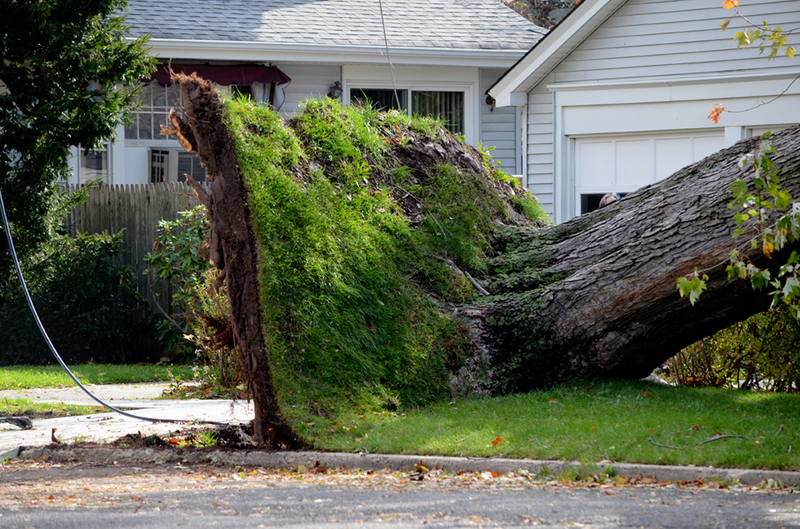 For example, if a fallen tree must be removed, and a sidewalk repaired, the purchaser may not want to take title to the property until these conditions are repaired. If they proceed with the scheduled closing prior to repairs being made, they may be liable for any injuries which result from dangerous storm related conditions and may suffer the cancellation of their insurance. We believe it is highly unlikely that a Court would require a purchaser to close when such conditions have not been remedied by the seller prior to closing. In this situation, the attorneys for the buyer and the seller will probably have to agree to delay the closing until all major repairs are complete. These examples are just a few of the legal situations which may occur when extreme weather conditions cause damage to one’s property. If you are one of the victims of such property damage, and need information on the legal effects of such damage, please contact our firm for a consultation.